The Mongar at the summit of Luna peak, Cederberg. 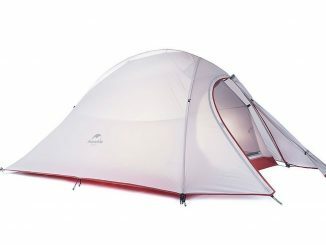 A spacious 2-person, 3-season tent that can handle all but the worst weather, weighing in at just under 2kg, all for R3199. The Mongar ticks every box! 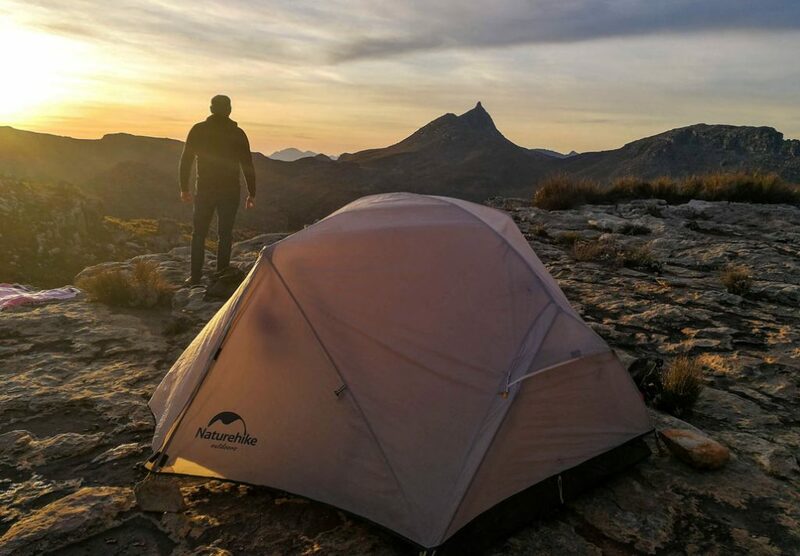 One of Naturehike’s technical tent offerings, the Mongar Ultralight 2-Person Tent first draws attention because it seems a close cousin of the well-regarded MSR Hubba Hubba. 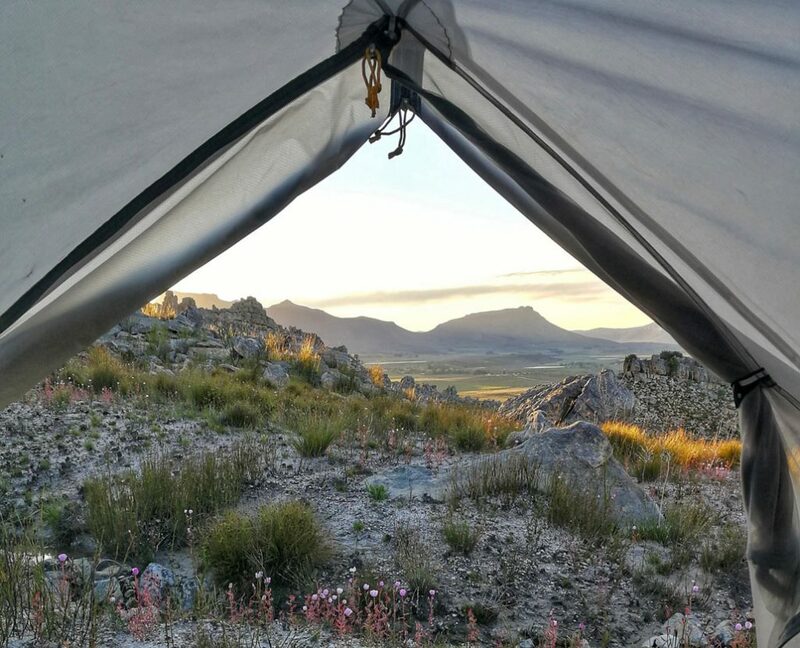 However, it comes in at a far more competitive price – one of its ‘best-selling’ points (excuse the pun) and makes it the recommended choice for those who need a lightweight tent for a wilderness trip. Besides its value-for-money, it’s a breeze to set up and comes in two fun colours, lime green and an eye-catching purple (as well as a soft grey for the more serious folk). But the Mongar is not just a pretty face (or cheap date for that matter). Coming in at under 2kg all-inclusive, the Mongar is an absolute pleasure to take along on multi-day trips with a minimal weight penalty. 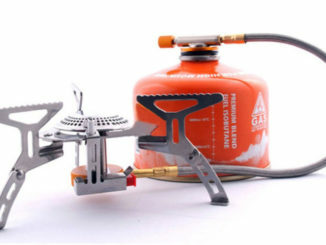 Split between 2 hikers, the tent increases each hiker’s backpack base-weight by roughly 1kg. 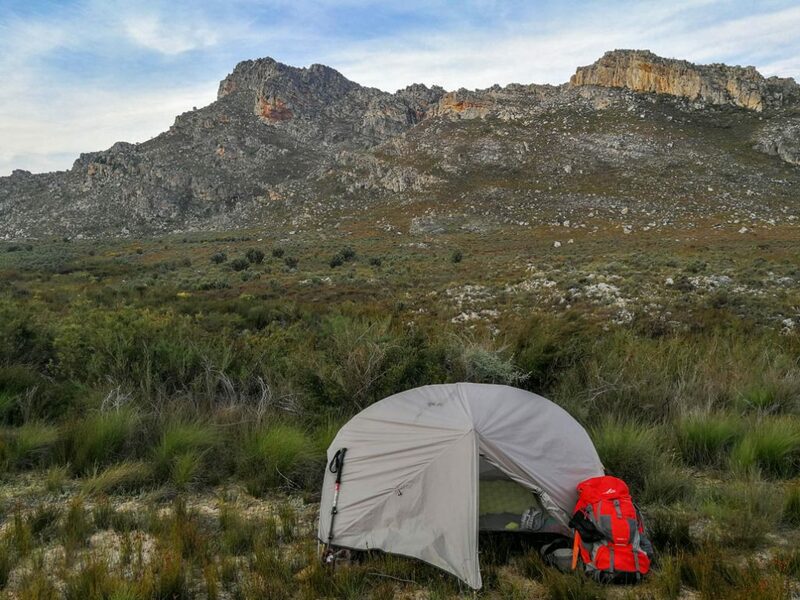 The tent and flysheet are symmetrical, with the inner tent clipping onto a single pole system, making setup extremely easy. 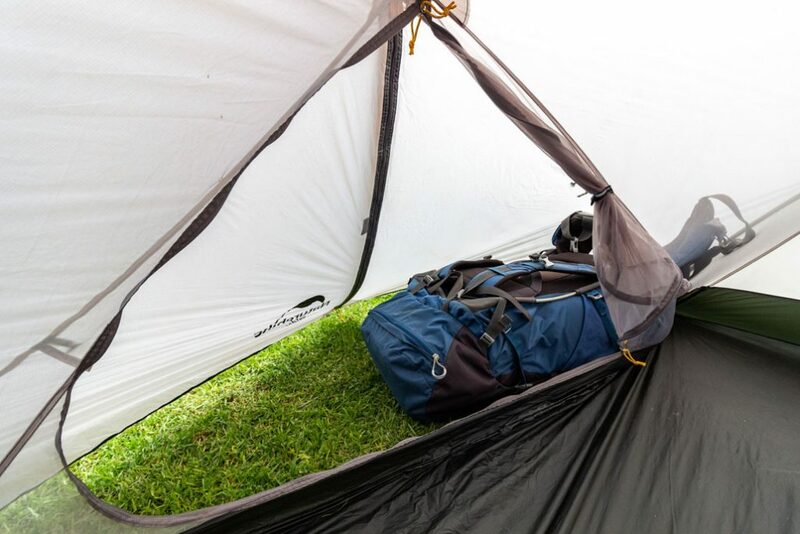 The flysheet can be attached to the poles, independent of the inner tent, which allows for an ultralight setup option if you chose to forego the inner tent, or just to set up a lunchtime shelter from the rain. The Mongar has the most headroom of any 2-person tent I’ve ever used. 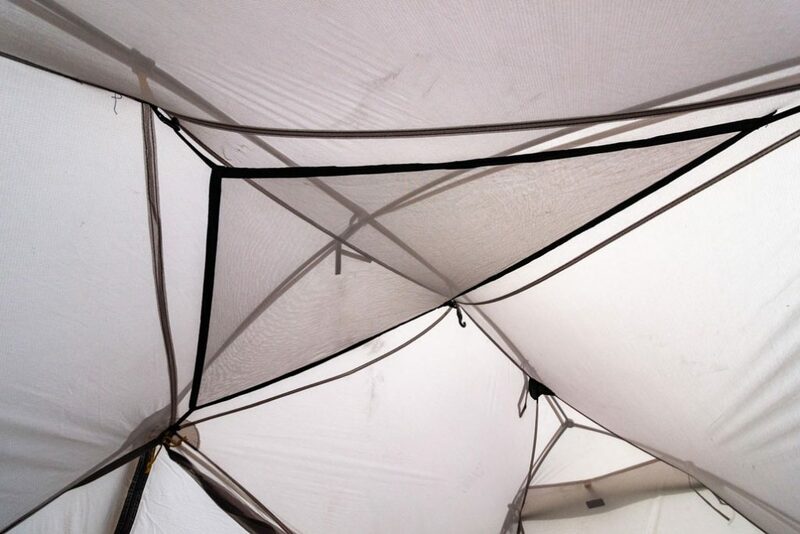 Thanks to the centre spreader pole, the inside of the tent is more rectangular than dome-shaped, with 80% of the “ceiling” above 80cm in height. This creates an amazing sense of space and makes the tent very liveable in case you need to wait out extended periods in the rain. 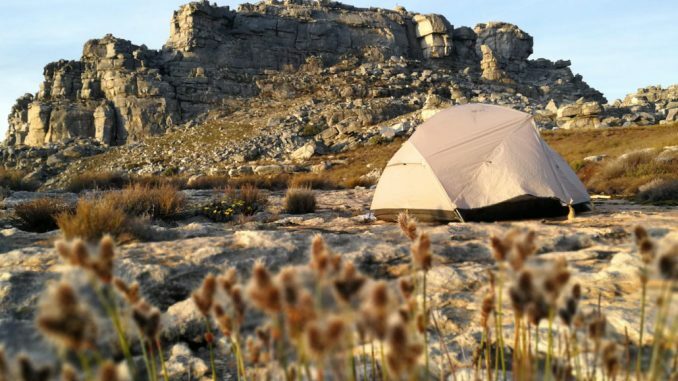 For example, when faced with a 6-hour deluge in the Hex mountains, the flysheet was used as an emergency shelter and provided a safe haven for three hikers, who snuggled up underneath and managed to sleep straight through the rainstorm. 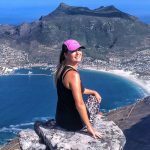 Internal storage is provided by two small pouches at either end, strategically placed in the centre to keep them out of the way of hiker’s heads and feet. There is also a removable mesh “attic”. The internal, usable floor space measures at 120cm x 195cm. 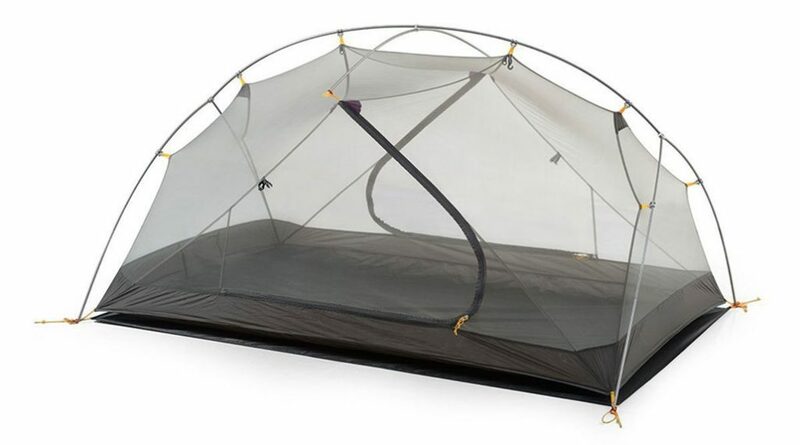 The lightweight, mesh inner tent and air vents on the flysheet, work together to provide an airy and well-ventilated space. Even in cold weather, with two bodies inside, I have yet to experience condensation within the tent. 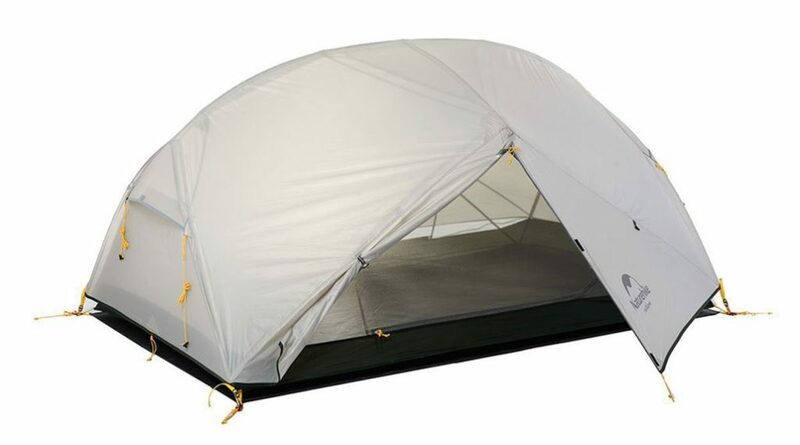 However, the “airy” nature of the tent and lack of side walls means that the Mongar does not hold much heat and strong winds do cause some air movement inside in the tent. On very cold nights (below 0°), the temperature inside the tent will not be much different from outside. This is one of the factors that puts the tent solidly in the 3-season category. 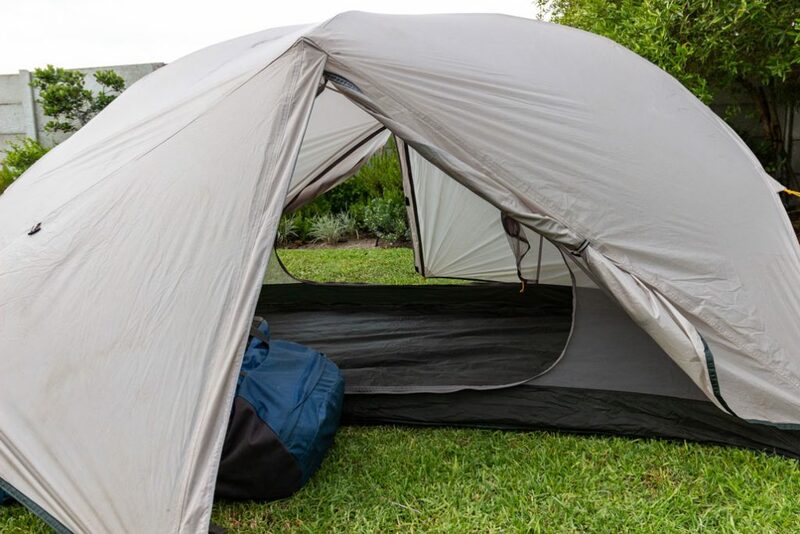 As always, dual side entrances are simply the best design from a comfort and convenience point of view, creating easy access to gear and freedom to move in and out of the tent without bothering your tent mate. The “doors” have a wide, tapered design which makes for fairly easy access. They can be secured out of the way by means of a toggle. The vestibules are very functional, but quite snug. A 75-litre backpack just fits under one half of the vestibule and encroaches a bit on the inner tent. 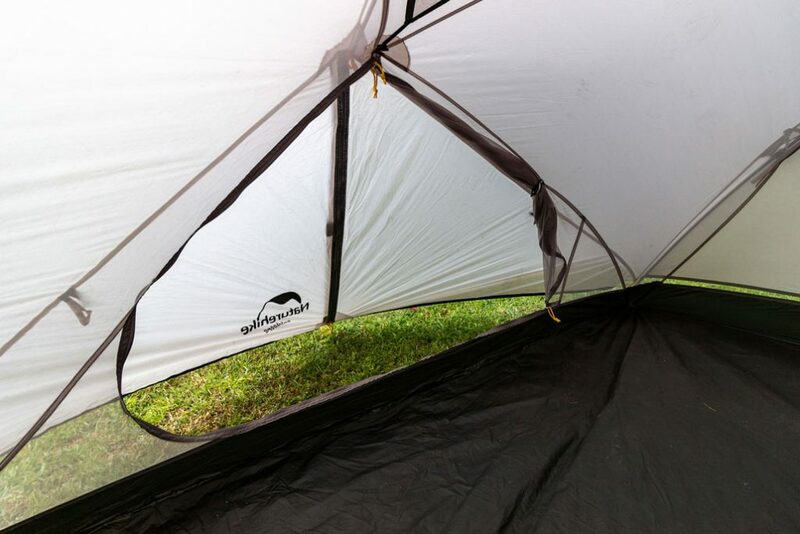 This leaves the other half open for getting in out of the tent, as well as cooking out of the rain, if necessary – an option that is made possible by the centre spreader pole which causes the edge of the flysheet to end further out than the bottom edge of the inner tent, so no water drips into the tent when the vestibule is open. 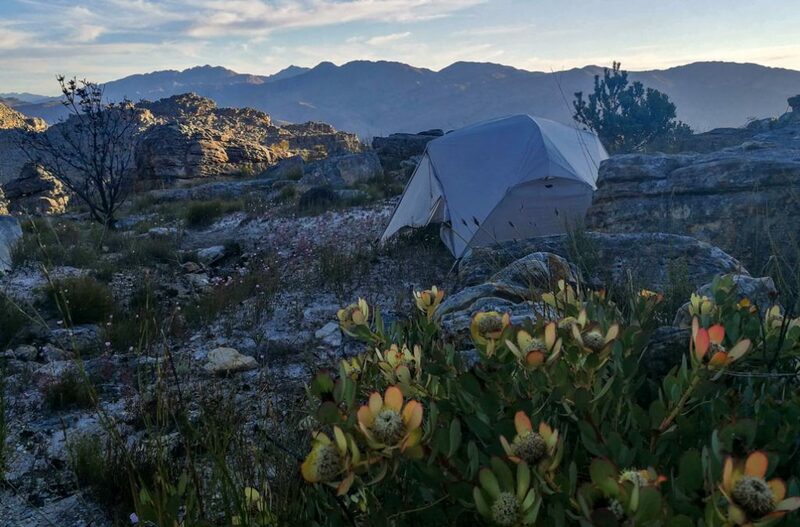 For the purposes of this review, the Mongar was tested overnight under a number of different weather conditions and seasons: frigid, high winds, as well as rain, in the Kouebokkeveld, cold but calm spring conditions at Luna Peak summit in the Cederberg, and balmy evenings in the Langeberg and Eastern Cape. In all tested conditions, the Mongar provided a safe haven from the elements, whether it was a light morning dew or icy winds. 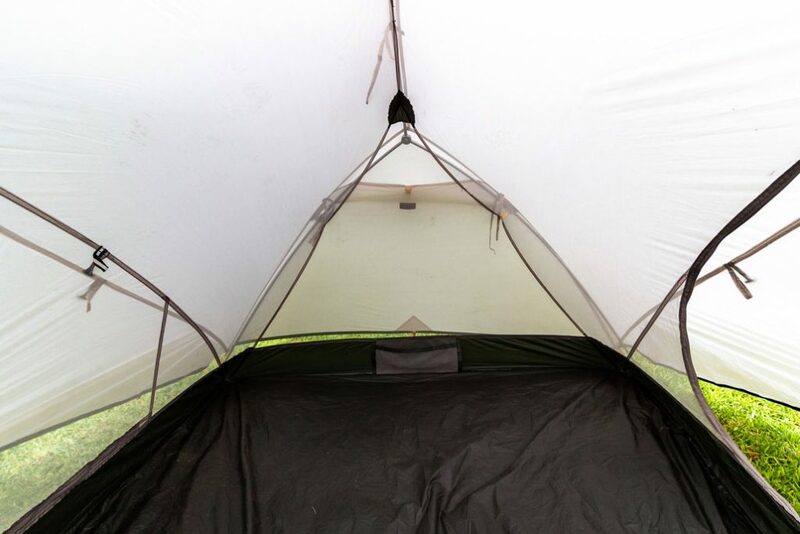 The 4000mm waterproofed flysheet kept us dry under all circumstances and made for a very comfortable home in the rain. 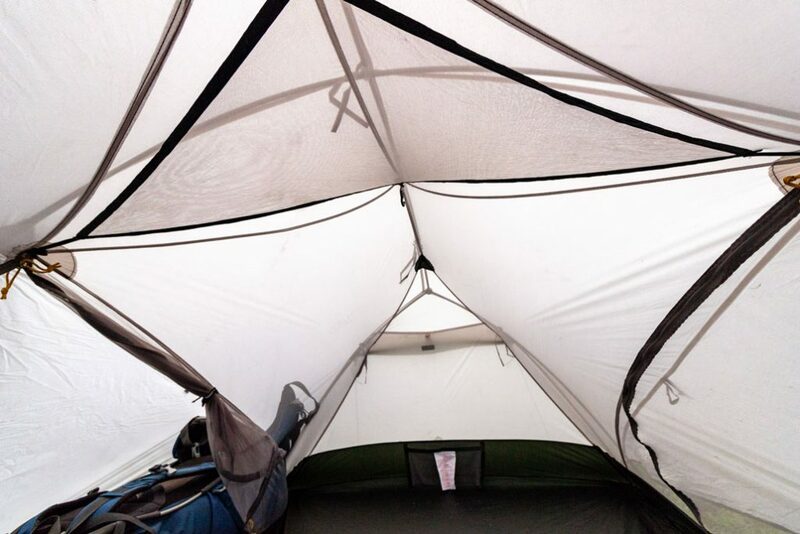 The centre spreader pole does allow for a lot of flex which causes the vestibules deform in high winds, but it never felt like the structure of the tent was in danger. The tent is secured by four guy ropes – two on either end – and eight other pegs securing the main structure. 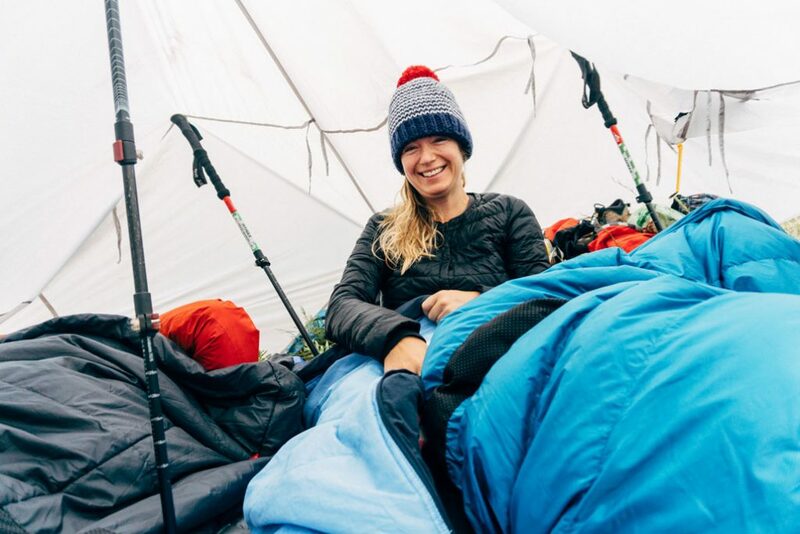 Considering it is a three-season tent and shouldn’t necessarily be taken on expeditions where extreme weather is expected, the Mongar has held up very well under relatively strong wind and rain. 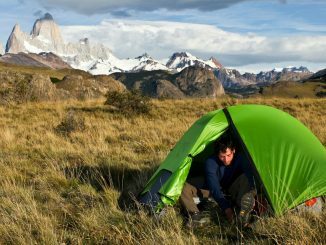 If it isn’t obvious, this is a tent I highly recommend for three season (spring, summer, autumn) wild camping for multi-day expeditions where weight is an important consideration and weather is expected to be relatively mild. 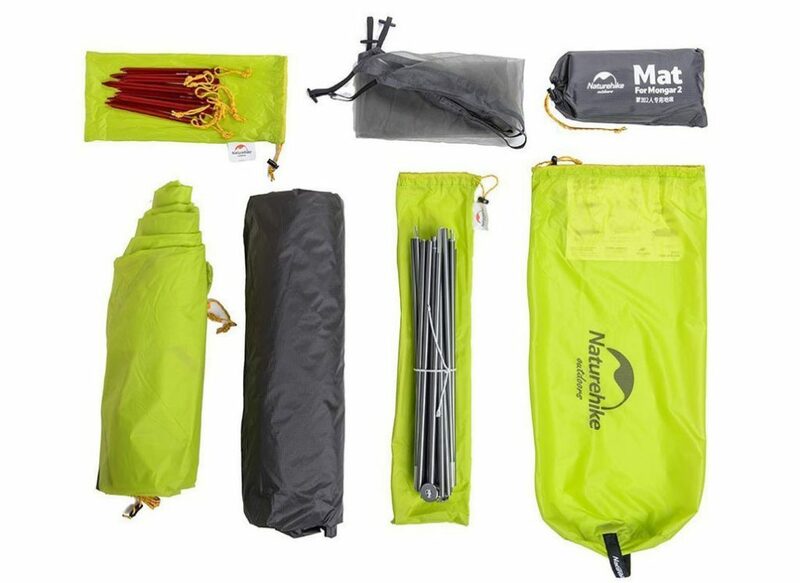 Lightweight, spacious and well-priced – you can’t go wrong with the Mongar. 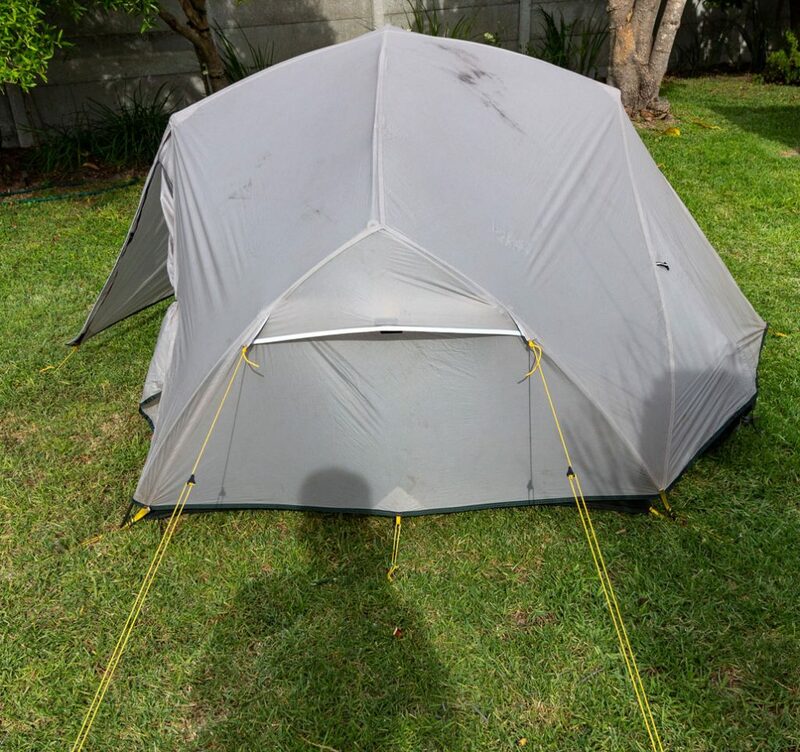 This tent was provided for review purposes by Naturehike and can be purchased directly from their website.